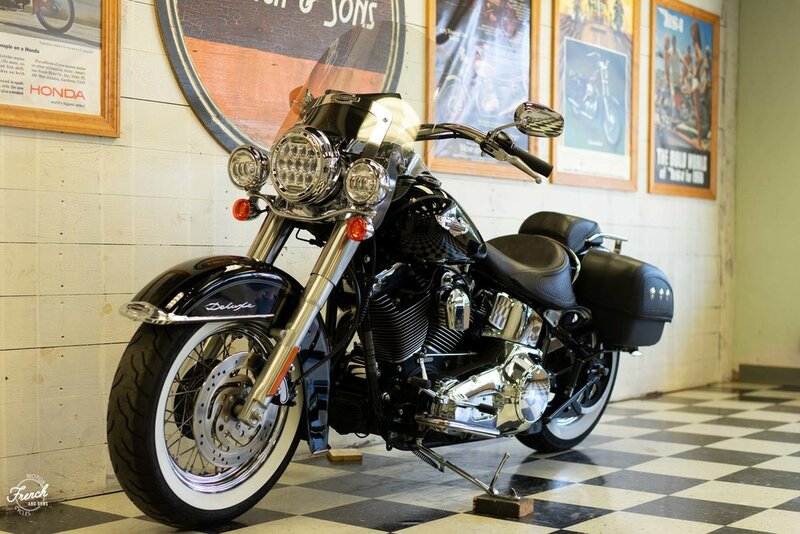 The 2006 Softail Deluxe featured an 88ci motor producing 85 ft/lbs of torque at 3,000rpm. 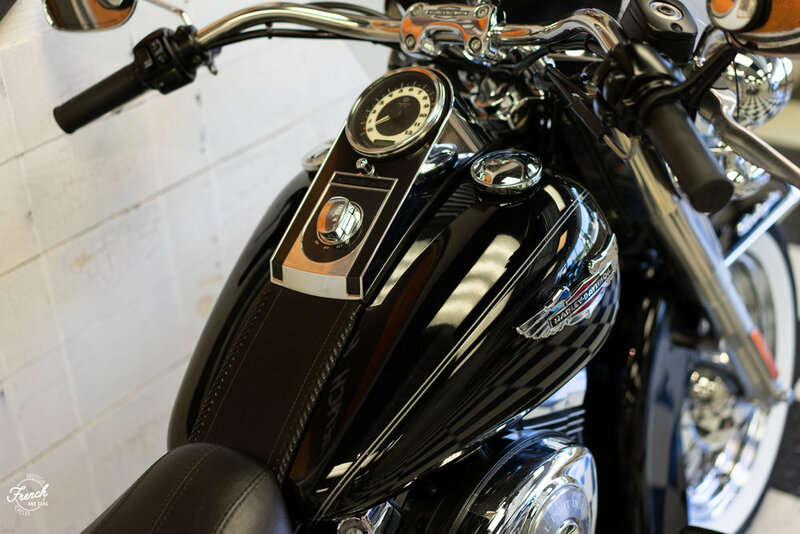 This particular bike is the fuel injected model and the color is Harley's ever-popular Vivid Black. The fuel tank hold 5-gallons and has a range of around 170 miles at the real world mpg rating of 35mpg. It is very easy to handle, especially in low speed situations due to its low seat height and low center of gravity. The bike weighs 724 pounds in running order. This particular bike features a windshield with windshield pouch, hard/locking sadlebags and a luggage rack. 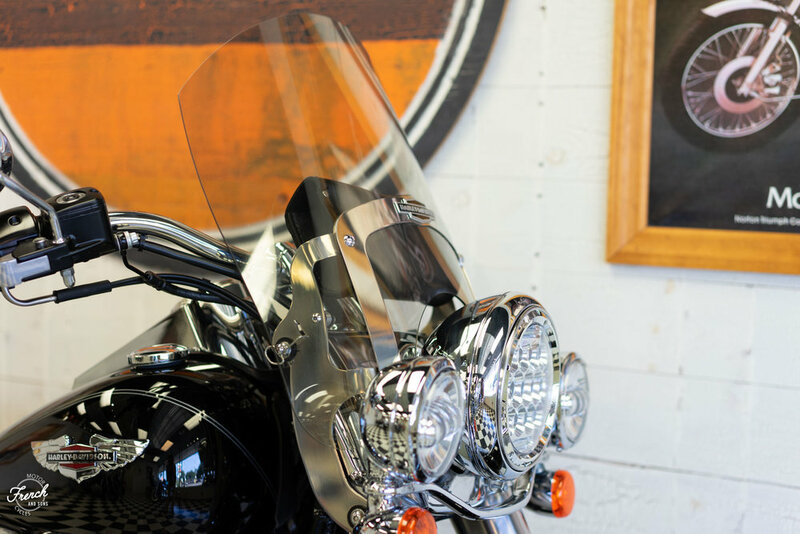 The bike also features very high quality and bright LED headlight and passing lights. 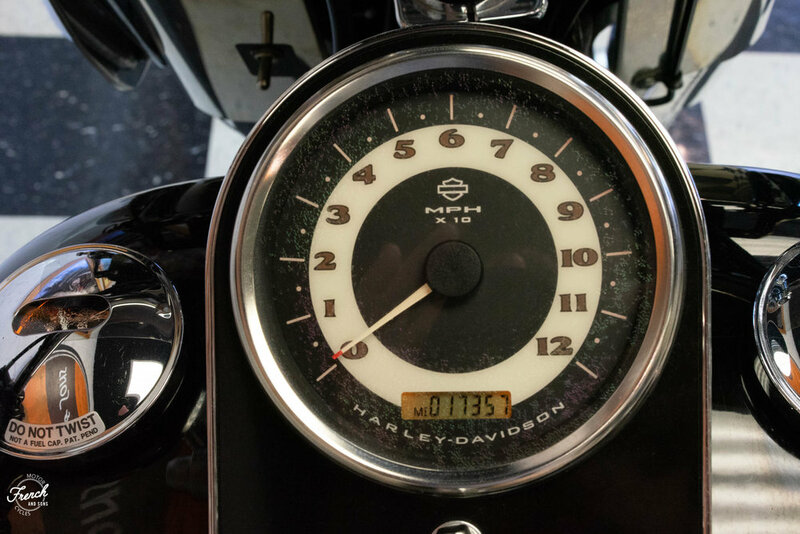 Just recently the bike has been fully serviced, including: engine, transmission and primary fluids replaced, new air filter, new spark plugs, new battery and a new front tire... all performed here at French and Sons Motorcycles. This bike runs and rides great and looks great whiles doing so. Come by the store to see this bike in person.